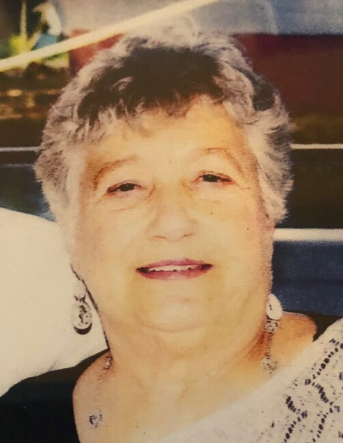 Gloria “Jeanie” Rosprim, 80, of Carlsbad, New Mexico, fell asleep in her bed at home one final time , surrounded by family, Wednesday, November 7, 2018. Born February 25, 1938, in Rugby, Texas, to James D. and Beulah Donelson, Jeanie led a spirited life in Bisbee, Arizona, playing marbles, skating and dancing. She loved her entire family, cherished her friends and now happily joins her husband, Bud, of sixty wonderful years, who passed away in March earlier this year. Preceding her in death were her parents, James D. and Beulah, and her sister, Terry. She is survived by her Aunt Dorothy Yuncevich; her children: Andy (Linda) Rosprim, Rhonda (Jody) Bannister and David (Darlene) Rosprim; her grandchildren: Jimmy (Etonne) Rosprim, Tommy (Emily) Rosprim, Lindsey (Chevy) Chase, Daniel (Shara) Bannister, Matt (Fran) Bannister, Jerrica Rosprim and Demi Bannister and 14 great-grandchildren. Jeanie was a loving matriarch, avid reader and wonderful cook who always ensured there was an ample variety of food for all to enjoy. In her youth, she ‘played mom’ all the time. As an adult she worked as a carhop, secretary, bookkeeper and retired from the Eddy County Treasurers Office as deputy clerk. Jeanie embraced life with a fierce and infectious love, which will carry on for generations to come. There will be a Mass at St. Edward Catholic Church on Friday, November 30, 2018 at 10:30 AM. A celebration of life will be held with friends and family in the spring. In lieu of flowers/plants, please donate to Encompass Cares, 220 S. Canal St., Ste. A, Carlsbad, NM 88220.